Trident currently has listings of many small businesses for sale in Melbourne. If you are looking for a small business on sale in Melbourne, check out our listing of what is on offer. As an accredited business brokerage service, Trident does more than just advertising Melbourne small business for sale. We are there to assist you through every step from choosing an appropriate business, helping you get past the legal red tape, facilitating the purchase for you, and making sure you are getting a deal that represents genuine value in todays market. 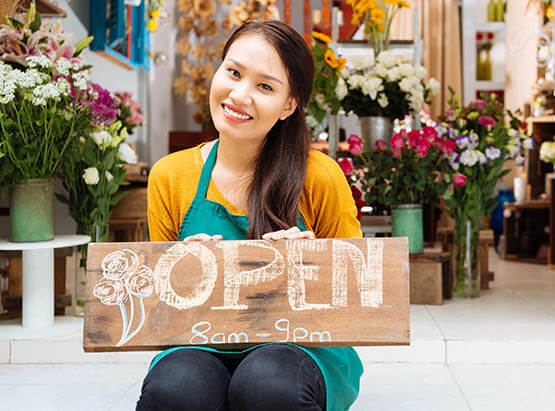 We make sure that all the listings we have of small businesses for sale in Melbourne only include business that are legally compliant, and have been properly set up and maintained by their current owners. As a buyer of a small business, you need to have that level of reassurance that every potential pitfall has already been cleared for you. Credibility sells businesses, and both the vendor and purchaser need to be comfortable in the business sale and due diligence process. There are provisions in Victorian law that provide additional protection as a buyer of a small business, as defined in Victorian statues. The phrase ‘Section 52’ refers to the disclosure statement that a vendor of a small business in Victoria is required to provide to a prospective purchaser under Section 52 of the Estate Agents Act 1980. It is important that this disclosure is provided to the purchaser prior to signing a contract of sale. When it comes to buying a small business for sale in Melbourne, it can be a big deal. Melbourne is one of the top three states in Australia for wealth distribution, however because Melbourne residents have comparatively high disposable net income, this means they’re also big spenders. Even though the business you plan to buy is small, you still need to make a thorough investigation of its suitability. After all, it may have to provide your long-term income or you may have plans to develop it into something bigger and so need a strong basis for this. Conducting due diligence is therefore as important for a small business as it is for a big one. You still have to be sure the business is sound, viable, free from unknown debts and litigation, and able to provide the basis you need for your new venture. We realise how important this is to you and so we’ll help you every step of the way. When you buy a business, you are likely to be taking on its liabilities as well as its assets, so you need to know exactly what they are. We’ll provide all the financial information, contract details, access to personnel and anything else you need so you’re fully aware of all aspects of the business. That is good news for any business owner in Melbourne. The city also attracts many foreign visitors, including tourists, students, and migrant workers. This also translates to increased opportunity for many business operators. 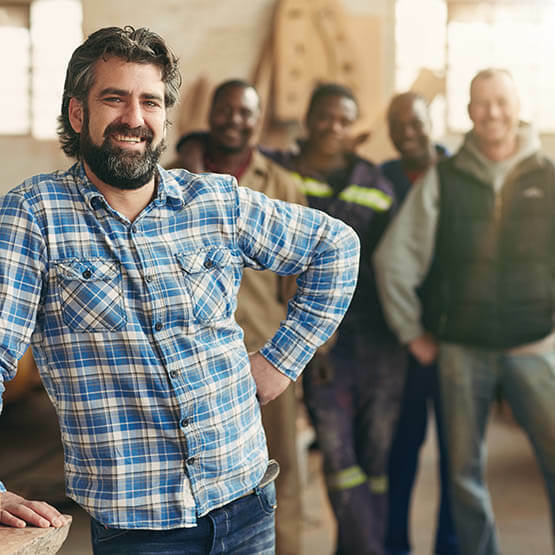 The state of Victoria has invested heavily in education and vocational training, so there is a large pool of talented and well trained potential employees to choose from. Melbourne is also a great city to live in, and provides many lifestyle benefits for the business owner to enjoy. These reasons make it a great choice for you if you are serious about owning a business. Now that you know all the reasons to buy a business here, go take a look at Trident’s list, and find the small business for sale in Melbourne that interests you. You can also call us on 03 8687 2116 to discuss the options or get a recommendation on a Melbourne small business for sale. A business being small doesn’t mean that buying it is a quick and simple process. In fact, sometimes the opposite is true because small businesses may not have the same organisation and high standards of record keeping that larger businesses do. So, when looking at Melbourne small businesses for sale, get expert help to avoid making a mistake. We do pride ourselves on our ability to really listen to what our buyers want, respond to what they say and put forward only businesses that are truly suitable. We won’t try to force on you a business that doesn’t fit the bill because our aim is to achieve long-term satisfaction for all our clients. In the same way that we develop a sales strategy that’s suitable for every seller, we also try to create a deal structure that is relevant to each buyer’s needs. We can clarify intellectual property issues, advise on transferring staff, develop a satisfactory handover procedure and put together alternative funding methods. We will, of course, be mindful of the sensitive nature of some of the information we provide and may need to obtain the seller’s consent. In certain cases, you may be required to sign a non-disclosure agreement so the seller’s confidentiality is guaranteed. None of this, however, will prevent you seeing anything that is relevant because our aim is total transparency and a successful Melbourne small business sale. Looking for a small business for sale in Melbourne? Contact us today! If you have a Business for Sale or you are Buying a Business. Trident Business and Corporate Sales makes it easy. We are the Melbourne’s best Business Brokers & Business Sales Agents to get you the results you after. Our service is convenient, and contacting us is easy. You can phone us on 03 8687 2116 or email us at sales@tridentbusiness.com.au for prompt service and all the answers you need.